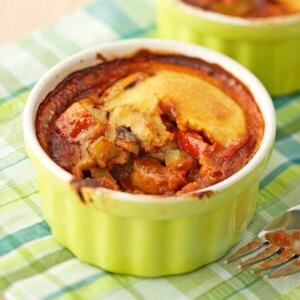 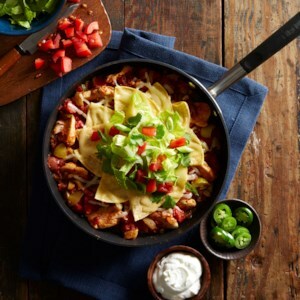 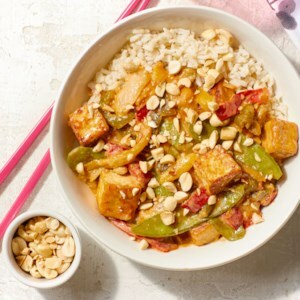 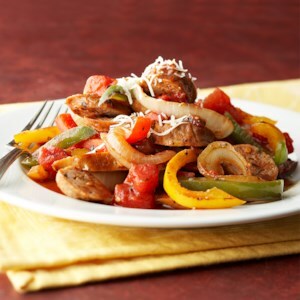 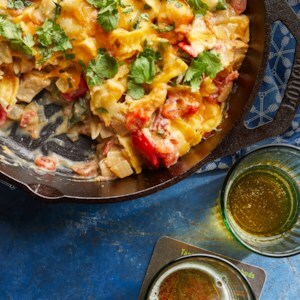 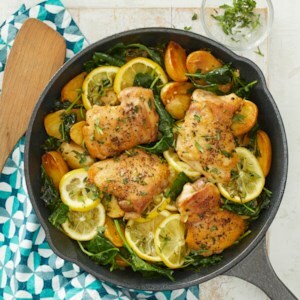 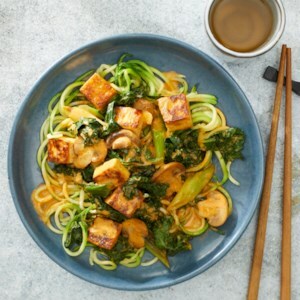 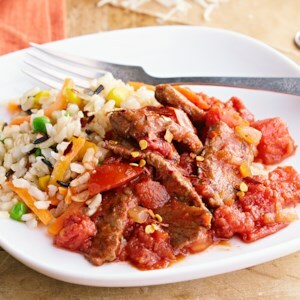 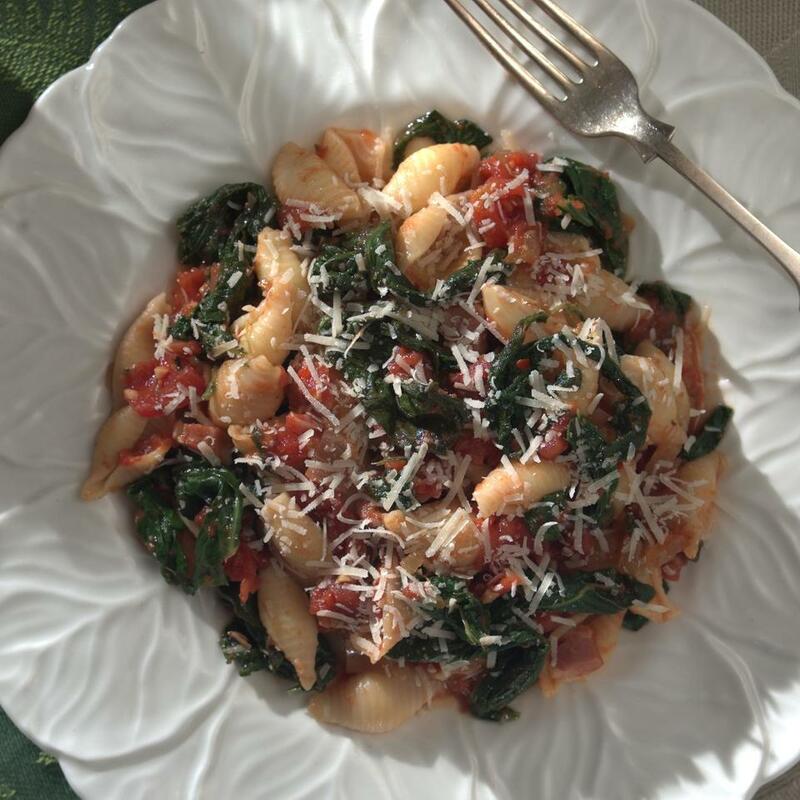 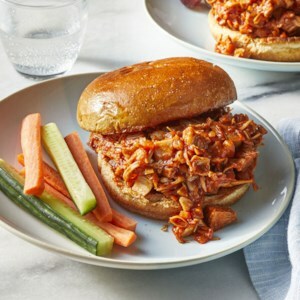 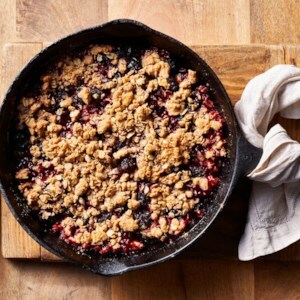 Find healthy, delicious one skillet recipes for weight-loss from the food and nutrition experts at EatingWell. 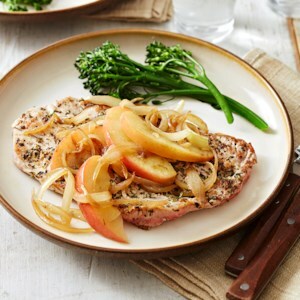 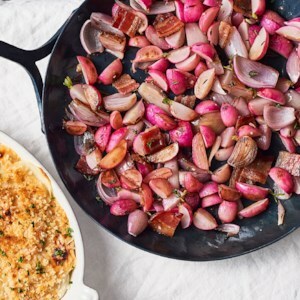 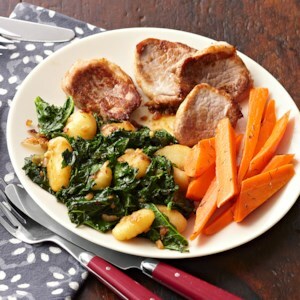 Balsamic onions and raisins add a burst of sweet and savory flavor to pan-seared pork chops. 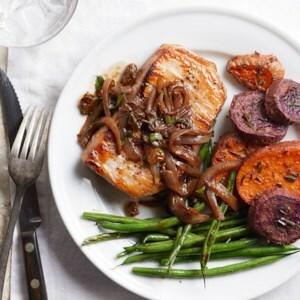 Round out this healthy dinner recipe with sweet potatoes and green beans. 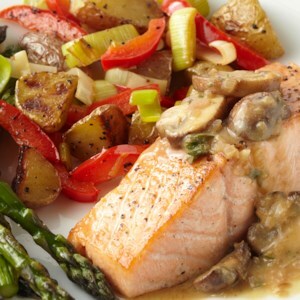 To round out this 30-minute salmon recipe, roast some vegetable sides (see associated recipes) in the oven while cooking the salmon and mushroom-shallot sauce on the stove. 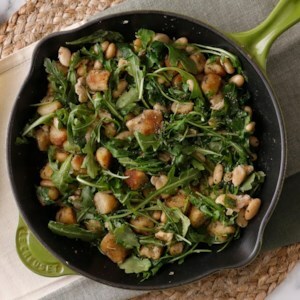 Turn lower-carb cauliflower gnocchi into a complete and satisfying meal with this riff on classic brown butter and sage gnocchi. 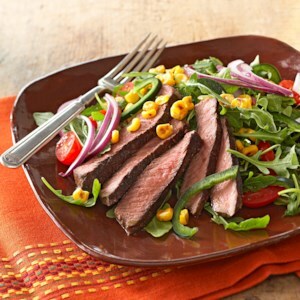 We added beans to amp up the fiber and protein for a fast and healthy dinner. 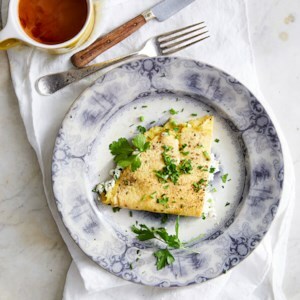 This bacon and egg omelet is loaded with turkey bacon, crunchy bell pepper, and fresh tomato. 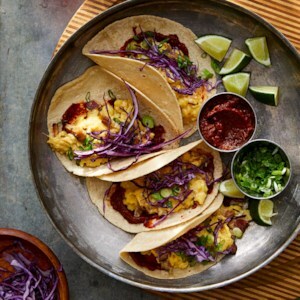 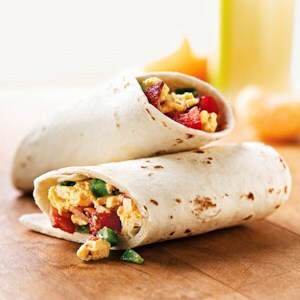 Rolled up in a warm tortilla, this quick-and-easy breakfast will keep you satisfied for hours.